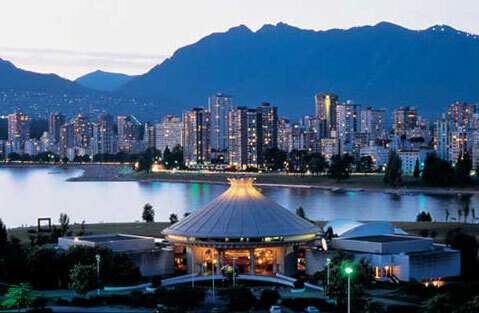 Vancouver is a big city with many neighborhoods. Here’s a tour. Downtown – Robson Street is at the heart of downtown. Designer boutiques and plenty of Asian restaurants make it a fun spot to stroll and roll. GASTOWN. Vancouver’s most venerable neighborhood is named after the city’s first barkeep. Brick-paved streets highlight its status as one of Canada’s National Historic sites. Present-day residents and visitors make their own history with all the designer shops, exciting restaurants and so will’s me pretty cool bars. CHINATOWN welcome to North America third-largest Chinatown. It mostly runs along the main, Pender and Keefer streets. Rummage through the dim sum spots, grocery stores and restaurants. 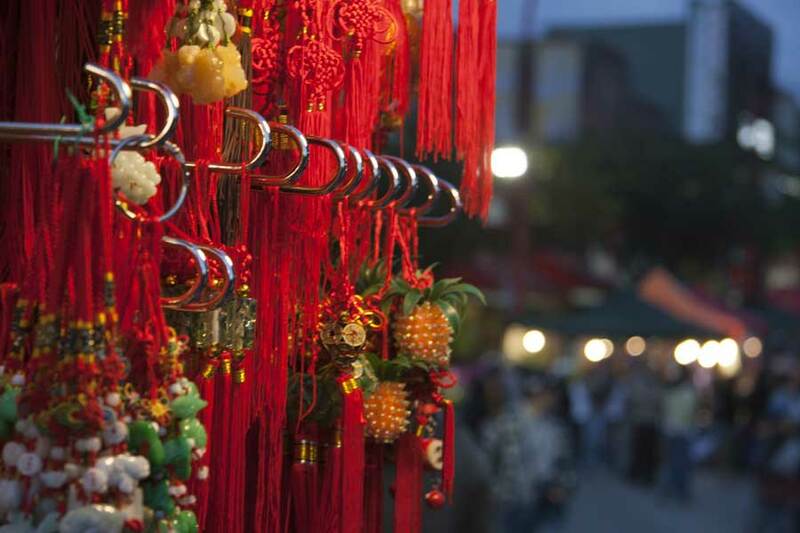 Feast your eyes on the Dr. Sun Yat-sen garden and that night market. YALETOWN what bustling city does not have a warehouse district converted to condos and other accoutrements of hip, urban living? In Vancouver, it’s Yaletown. This slice of downtown is enclosed by Nelson, Homer, drink and Pacific streets. You’ll find pretty bars, pretty restaurants, pretty shops and pretty people. GRANVILLE ISLAND John Donne never wrote, “No man is a peninsula.” It just wouldn’t have the same ring. But this Peninsula, although called an island, rings for thee. It is rich with arts and crafts studios and vendors, indie shops and a fabulous Public Market, brimming with arts, crafts, toys and food. Mmm! Sorry! No chain stores allowed. 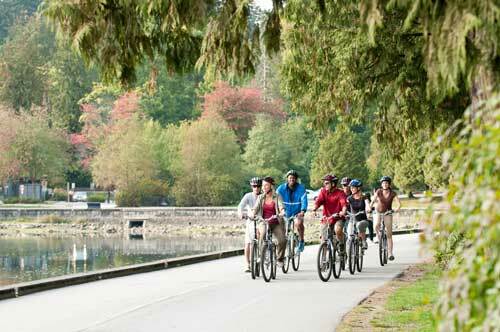 EAST VANCOUVER: Located east of Gastown and Chinatown, East Vancouver is an amazingly diverse community. It has gentrified neighborhoods, a bit of hipster haven, Italian coffee shops, plus bars and boutiques. Hang out on Commercial Drive (aka “The Drive”) or meander along Main Street. PUNJABI MARKET: Also known as Little India, this six-block Main Street beehive starts on 49th Avenue. It is a South Asian commercial stretch. But it’s no stretch to say you’ll find restaurants, groceries, jewelry stores, and other fabulous delights. Richmond—Actually a neighboring city, Richmond is considered part of the Vancouver metro area and is easily accessible from downtown Vancouver by the Canada Line. A largely Asian community (60% of the population are immigrants), the city has loads of fascinating restaurants (mostly Chinese, Japanese and Korean, Asian shopping malls, and shops. Kitsilano—Basically a gentrified residential area with counter-culture roots, “Kits” is open for business and visitors along West 4th Avenue and West Broadway. That’s where you’ll fall in love again and again with shops, restaurants and organic food markets. It’s also where you’ll find the one more in a series of wonderful parks, Varnier Park. 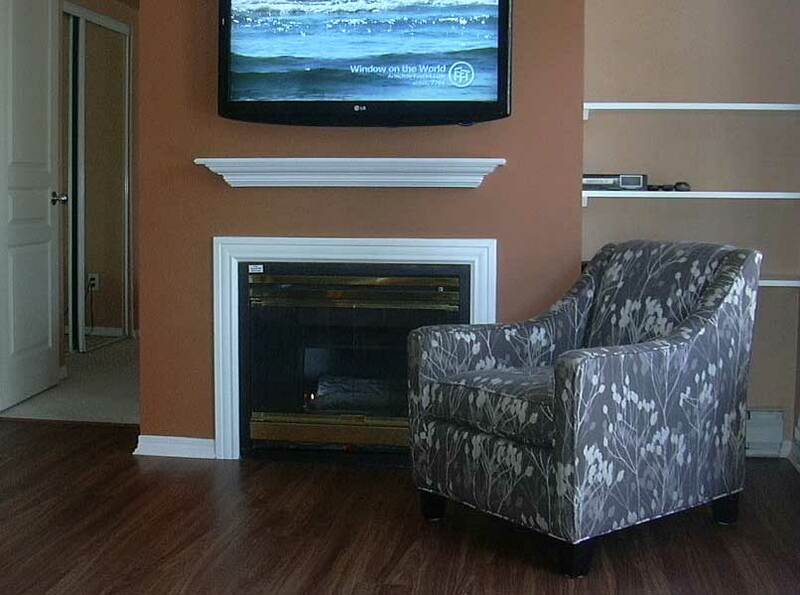 It’s near downtown and a short walk to beaches. 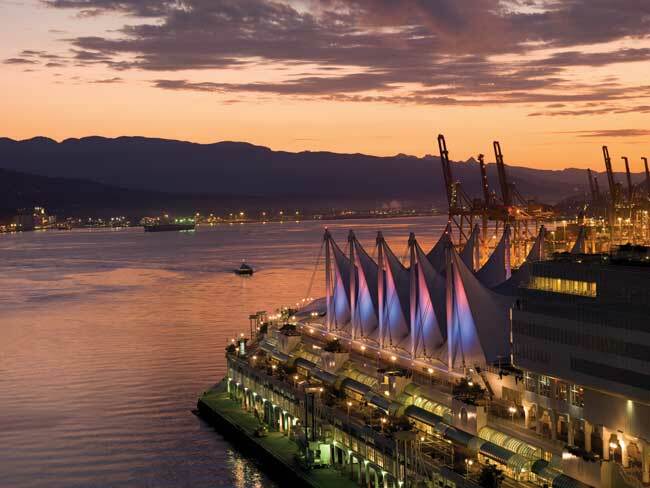 TED — the leading edge technology, entertainment and design think tank/carnival — has moved its flagship conference to Vancouver, British Columbia. (Dates:17-21 March) TED events sizzle with ideas, visions, insights, smarts, showmanship, and one-upmanship and, in fact, all kinds of hip. An extremely popular location for American film and TV shows, it’s known as “Hollywood North”. The City of Glass, as author Douglas Coupland named Vancouver, was the 2010 Winter Olympics site. Hmm. Brains? Brawn? Glamour? Technology? Entertainment? Design? Canada? The answer to all these questions apparently was “yes!” But why? Traveler was on the case. You’re still staggering through the Vancouver International Airport’s arrivals building when you see it through soaring glass panes —a range of mountains limned by the setting western sunlight. Next the signage — in English and Chinese — registers. We have come to the West alrighty, the western edge of the North American continent, a Pacific portal with the beautiful light to prove it. 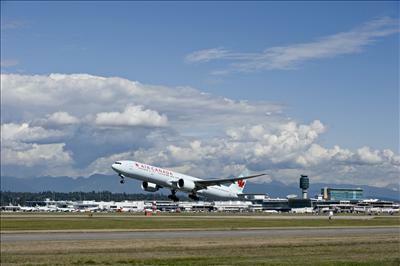 Vancouver airport is a gateway to Asia or to the North American continent. This is where the caravans pause, refresh and regroup. Perhaps another sign that you’re in the West is that this airport enforces self-reliance, from baffling, elliptical information dispensed by the information booth to confusing (when existent) signs about such matters as how to get out of the airport or where to find a currency exchange. This may be the perfect point to mention four other salient Vancouver nuggets. It is a relatively young city. The Hudson’s Bay Company set up a trading post by the Fraser River in 1827. In 1858, reports of gold to be mined on the banks of the river brought a wave of prospectors. The first seedlings of community took root in 1867 when people started to build homes around the sawmill and tavern. The saloon was opened by John “Gassy Jack” (he talked a lot) Deighton. The developing area called itself “Gastown.” The informal name stuck; however the community incorporated itself as the town of Granville in 1870. 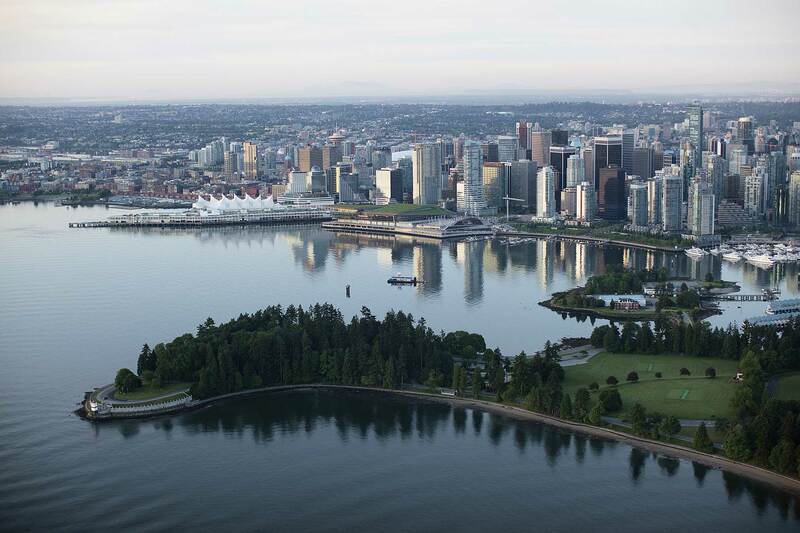 It, and the larger surrounding region, was incorporated as Vancouver on 6 April 1886. On 13 June 1886 fire wiped out most of the property. And the people started anew. It is a richly multiculti city, invigorated by continuing waves of immigration from China, Hong Kong, India, Philippines, South Korea and Iran. Many bring a striver’s zeal and an entrepreneurial energy. Vancouver is the birthplace of Greenpeace and the Occupy movement initiator Adbusters magazine and, OK, Lululemon. It was the original headquarters of Canada’s Green Party. And a pretty, seemingly gentle city, despite cloudy skies and some decidedly down-at-heel city sections. Traveler is unabashedly sedentary. Traveler is an honorary land mass. But even Traveler is bowled over by the ever-present natural beauty that surrounds and defines Vancouver. Mountains and greenery. The harbor. 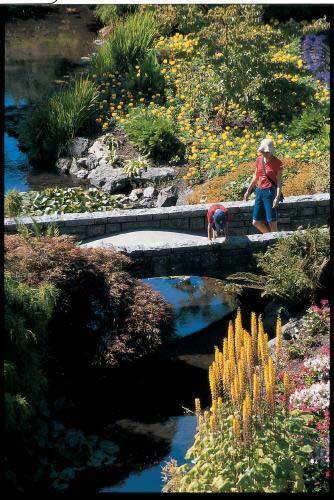 And parks — including Stanley Park with its redwood forests, rose garden and Lost Lagoon. These four factors add up to a city not too entangled in traditions that come with real estate. Instead there’s a mosaic of heritages carried across the ocean like precious luggage. And a harbor hugging skyline of impressive glass buildings, a pioneer spirit. Toronto, Nerw York, Paris it is not — Big Corporate Money hasn't completely taken it over yet. Refreshing. The Westin Wall Centre, Vancouver Airport Hotel is a great big “welcome greeting” pillow incarnate. Room 1112 is where the traveler’s tent was pitched. It was a place to rest, regroup and revive. Textured café au lait walls, white baseboard, white ceiling, white lamps, minimalist walnut furniture, pine green carpet lend a soothing vibe. Three original blue and green prints on the wall each by local artist. Traveler could live here. And then there’s room service. When you’re falling to pieces, a room service breakfast is just the thing. Though vegetarian eggs Benedict was not on the menu, they make a fine one. The substitution of sautéed spinach and voila - eggs Florentine. No hash browns? Have a fruit cup. Time to move on. For more information, click here. Talk about your contrasts! Checking in here feels like being ushered into Def Con 5. The office (there is no proper lobby) is located in the parking garage. Press digits on the keypad to get in. Traveler is given a set of keys —one for room 302 and one for the elevator at the front door. (There’s a front door?) This is not a bunker mentality. This is a bunker. Walk through the dark corridors and be nonchalant about those occasional inclines in the floor. Here is 302. 2 steps down, Insert key in the lock, hear that satisfying click; and… Be ready to smile with stoical good grace. But wait on. You’re standing in an absolutely lovely, calm, one-bedroom suite. And they think of everything at the Times Square hotel. (They even start you with a scrubby bubby in the full service kitchenette section.) Not only is there a washer and dryer iin the kitchen area (thank you, Lord), there's also some soap powder to make itt real. 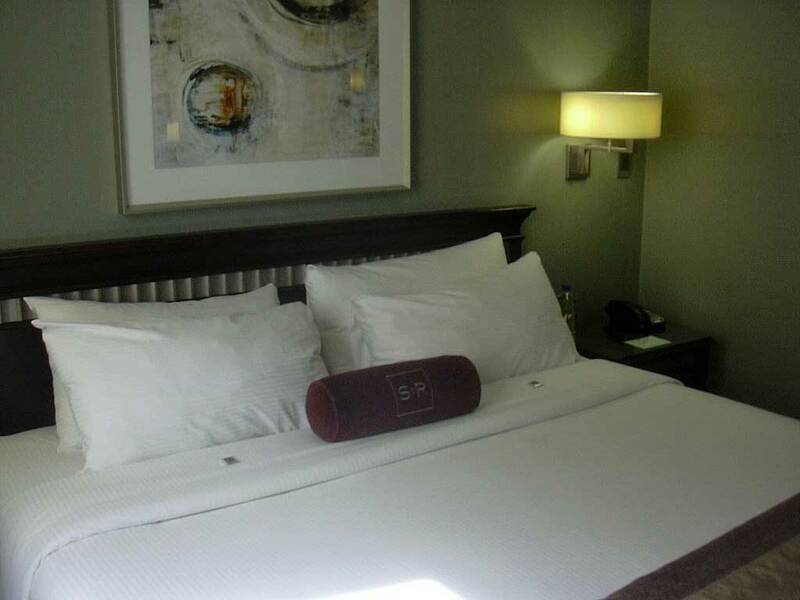 (A pair of earplugs is placed discreetly by the bedside table in case the street noise is a bit much.) A gas fireplace, access to a neighboring gym, free local phone calls, and a rooftop patio with a view underscore the hospitality. 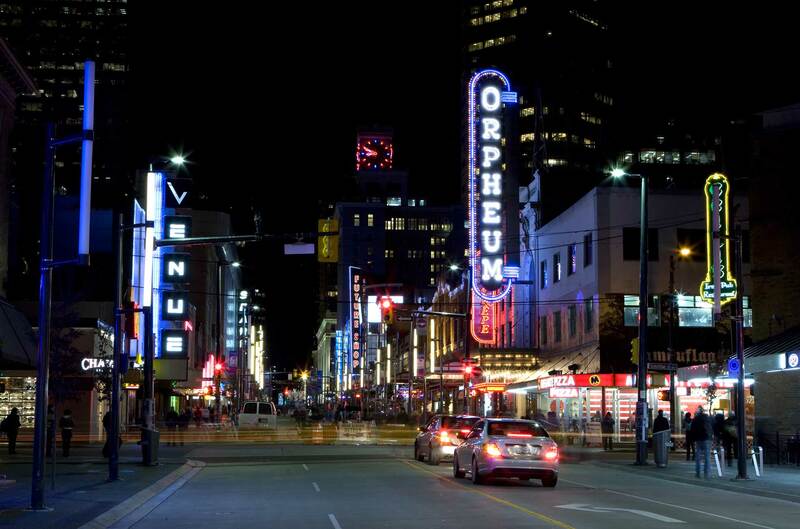 The Times Square location puts you right in the Robson Street shopping area. A huge, rather depressing but useful Safeway Supermarket is nearby. While it's not s sightseeing joy, it does wonders for your room's fridge near the Times Square. and not too far a hike to the Aquarium. For more information, click here. Katayon had just done a wedding party that stayed at Times Sq. Don’t confuse this gem with a kind of try-hard fancy spa moving in a few doors down. Keep it real. When talking about this treasure of a hotel, it's obligatory to note that it is independently owned and operated and has absolutely no relation to any other hotel called St. Regis. They call a boutique hotel, but it's classier and more luxe than that category. It's design-gorgeous. Unlike boutiques, it is not quirky or irritating, It has the polish of a high end chain. St. Regians pride themselves on maintaining “an all inclusive" hotel It only has five floors and you never feel like just a number. Service is so kind and anticipatory, it's almost psychic - hope that your maid will be Barbara Szczepanska, and you will be cossetted and cared for like never before. Traveler sneezed; she magically appeared, with a tea tray. It's worth asking for her on check -in - she is a first-rate service ninja. The St. Regis has no gym; but it has the use of a nearby gym. As you leave St. Regis to go to the west end, you're in the middle of everywhere. The St. R. was opened on 15 March 1913 in the city's business district. Its fortunes reflected the ebb and flow of Vancouver. For a while, one of the owners owned professional hockey team, informally called, "the St. Regis Hotels." In 2009, an $11 million renovation combined classic comfort with contemporary verve — tasteful furnishings and such up-to-date travel perks as 50" LVD TV, plug and play media hubs, and one extra incredible perk. Read on! Beautiful art is everywhere, even on the fire staircase walls. Being “an all inclusive hotel” means: make all local AND international calls you want, an incredible value. Always a catch, though: no calls to Serbia. Businesspeople who make contracts with the St. Regis. Traveler met several road warriors who stay for a week, every other week. "I've stayed all over town,"chirped one happy guest in an Italian suit. "This is the only hotel I’ll stay in." Way to go, business pro, way to go. Breakfast is bountiful, in a tranquil, wood paneled room with framed images of the city, and flat screen TVs to to goggle at. Traveler noted that the site has had its share of conferences. Breakfast is incredible — waiter service, choice of juices coffee or tea, (1) choice of cereals yogurt and fruit toast, (2) TWO FREE RANGE EGGS (yes, ethical, Canada, see) or 3) an omelette with a choice of spinach, tomatoes, spring onions, and cheese, toast - gluten free if you - want, potatoes and a generous fresh fruit cup. Potatoes are roasted with their skins on and the portion is large. Wide selection of jams, honey and peanut butter. Big pot of coffee on your table, just like Ihop. As previously stipulated, Traveler looks upon outdoorsy activities as a pleasant concept. Still, Vancouver wins praise for the many ways its residents and visitors can exert themselves. These include hiking, biking (mountain and otherwise), golf, skiing, snowboarding, snowshoeing, canoeing, sailing and windsurfing. Here are some local favorites, according to Vancouver magazine. Canoe the Squamish River Estuary with the boat rented from Mountain Equipment Co-op (Mec.ca). 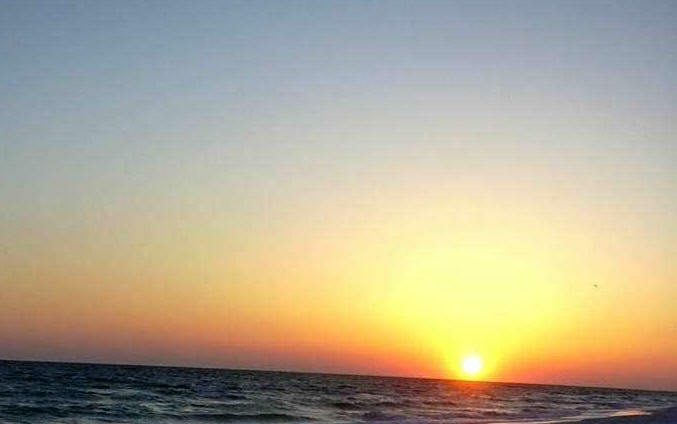 If you care to sail, you’ll find numerous tours, charters, rentals and classes. One-stop booking can be done for you by Cooper boating at Granville Island. Cooperboating.com. Windsurfers like Jericho Beach, especially for newbies, and its Windsure Windsurfing School Windsure.com. Those who are really into it, go to Squamish (Squamishwindsports.com. 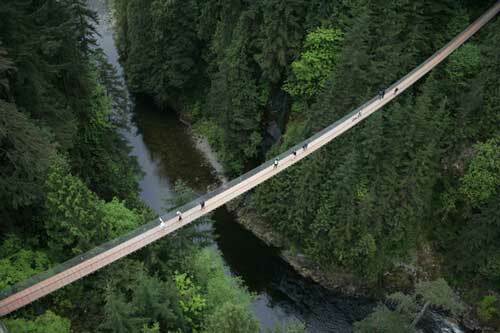 Hikers can walk it off in Golden Ears Provincial Park or amble over to Grouse Mountain (604-980-9311. For golf, enjoy the Howe Sound scenics, while working on your vocabulary at Furry Creek Golf & Country Club. Skiers and snowboarders, Whistler Blackcomb offers 8000 skiable acres (866-218-9690. ), is blessed with more than 8,000 skiable acres, 12 alpine bowls, three glaciers, loads of trails, and the bonus of summertime skiing. Don’t want to stray too far from downtown? There’s Grouse (604-980-9311. Grousemountain.com), Cypress (604-926-5612. Cypressmountain.com), or Seymour (604-986). Vancouverites produce and attend a variety of festivals throughout the year. They highlight sports, culture (high and low, in and out), food, ethnicity, history, family, the seasons and more. Here are just a few. If you’re in Vancouver in mid-June, chances are you’ll be there in time to enjoy Car Free Day. This annual celebration of walking and breathing started in 2005 as a response to the government’s highway expansion plans. On this day, cars are verboten in certain designated sections, and the people come out and frolic. For more info, click here. Greek Day comes toward the end of June. So if you happen to be on West Broadway between Blenheim and MacDonald on Greek Day, extend your arms, sway and dance into the crowd of 100,000. There will be food, entertainment, a market and other fun. For more info, click here. For an overview of Vancouver festivals, click here. Why doesn’t it take you to the planetarium or deep into Yaletown? Are they all all sports-mad jocks here? Oh, well. The Big Bus rattles noisily and broadcasts an annoying prefab tour spiel; we all wished we could hear it all from the better-informed, congenial driver, Dennis. Lumber is largest industry. Filmmaking is big. During our bus ride, we saw three different movies being shot. The Tour Guide Dennis on the Big Bus recalled his mother growing roses in the family garden and snipping a few on Christmas to decorate the table. Need we say this is a bike-friendly city? We can add that an annually revised cycling map is available for download. Bike lines are clearly indicated. To get your copy, just click here. 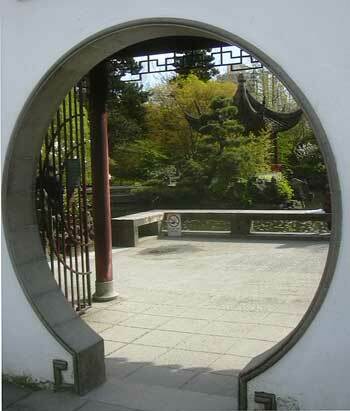 Dr. Sun Yat Sen Classical Garden is tucked into Dr. Sun Yat Sen Park. The park is public. The garden, itself, has an admission fee and a mission: “to maintain and enhance the bridge of understanding between Chinese and western cultures, promote Chinese culture generally and be an integral part of the local community.” It fulfills its mission with the calm and harmony emanating from the DNA of the garden’s design. The principles of feng shui and Taoism are very much present. The 2011 National Geographic book, Secret Journeys of a Lifetime includes the Dr. Sun Yat Sen Classical Garden among 500 of the World’s Best Hidden Travel Gems. Add to this a constant diet of events and exhibits. Opened in 1986, It is named ‘after the revolutionary whose efforts toppled the Xing dynasty in 1911, and is considered the father of modern China. It is the largest Asian garden outside of Asia. For more information, click here. How did a section of the Creekside School Residence become an homage to Hedrix? The building happens to be the site of the former soul food restaurant, Vie’s Chicken and Steak House. 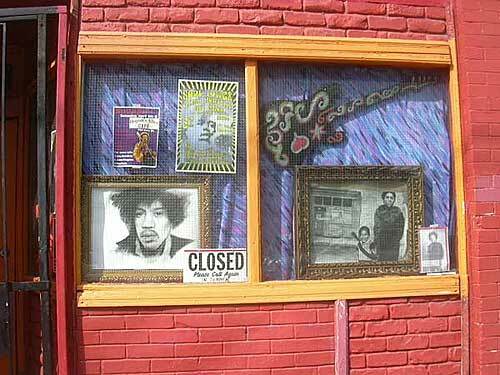 Nora Hendrix, Jimi's grandmother, cooked at and lived near Vie's. Consequently, the great musical pioneer frequently found himself in Vancouver when he was growing up and as a teenager. He even tried to break into the Vancouver musical scene after his Army days. The shrine, which consists of photos and memorabilia, was established by Vincent Fodera. He was the property owner in 2003 (and still is) when he accidentally discovered the building's link to rock & roll history. More recently, as reported by Georgia Straight online, in 2012 a real estate developer wanted to acquire the property and put up a condominium. Foders said fine — as long as the shrine is maintained. So far, no condos. The shrine is open from June to September. Typical rsidence guests are foreign students studying English; art, film, and follege students and visitors with International Experience visas (formerly known as Working Holiday Visas). More specifically, the building houses the Vancouver Convention Centre, the Pan Pacific Vancouver Hotel, Vancouver’s World Trade Centre. There are exhibits and events. And there are the Heritage Horns. Every day at noon, these large, loud aluminum horns honk out the first four notes of “O Canada.” As Vancouver goes, these horns are a well-entrenched tradition. They date all the way back to 1967; but Canada Place has been their home only since 1990. For more information about Canada Place, click here. While in Vancouver, you can take a half-hour or so out to fly all over Canada. Your chariot? A new $15 million attraction called Flyover Canada. It took three years to make this notion real. Real helicopter and airplane flyovers with crews wielding 65 mm HD cameras gathered footage. The Canada Place Imax closed in October 2009, was renovated and emerged as the site of flyover Canada. All this so that guests can have the sensation of spectacular aerial views of such sites as Niagara Falls, Parliament Hill, icebergs and Vancouver harbor. For more information, click here. Combine a touch of touring with a fetish for photography, and you’ve got Vancouver Photowalks. The two-hour guided tours (day or night) are also photography classes in disguise. The leisurely-paced, small classes explore a particular area. Some of the Photowalk themes are Gastown, Stanley Park/Coal Harbour, Chinatown, and Birds & Nature. For tickets or more information, click here. Who could resist a little walk on the wild side of Vancouver — or at least Vancouver’s history? Guides are performers, historians, actors and improv comedians. They bring a theatrical sense to the storytelling. Tour subjects are Prohibition City, The Lost Souls of Gastown, The Granville Street Reveal, Hidden History and Secrets of the Penthouse. For tickets or more information, click here. It’s open to the public for visits, tastings and (oh yes!) purchases on the weekends. For more information, click here. This astronomy museum is housed in the same Vanier Park building as the Museum of Vancouver. (Next door is the Gordon MacMillan Southam Observatory.) It offers exhibits and activities in its Cosmic Courtyard. Harold, its 45-year-old star projector, has semi retired to make way for the planetarium's new full-dome digital projection system. Locals say Stanley Park is six times bigger than Central Park. 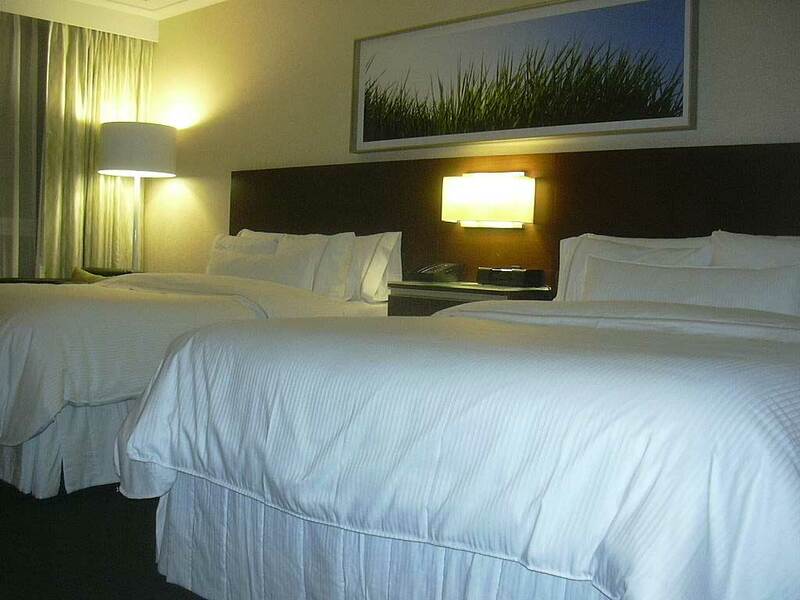 Walk all around the park and you’ve traveled 8 miles, but rest assured—We do mean rest. There are short walks. The park’s perimeter is protected and enhanced by the Sea Wall, an anti-erosion barrier. The wall has been topped with a road, enthusiastically adopted by pedestrians, bicyclists and in-line skaters. The park is home to many comforts and joys —the aquarium, the Rose Garden, the Miniature Railway, Malkin Bowl’s Theatre Under the Stars, Nature House at Lost Lagoon, and Third Beach. At the Times Square, Rob can give you thoughtful direction for short walk through Stanley Park that also includes walking by the sea wall on the way to the aquarium. It is a pretty way to go you get to see the Marina skyline known to and water lapping the moist mud. You’ll see little babbling brooks with the clearest, cleanest water you’ve ever seen, and redwoods at least 600 years old. Down by the Lost Lagoon, swans are nesting, getting ready to welcome them back. That’s also where you’ll find 800 trees. Six pair of swans have decided — like so many other travelers —to stay in Vancouver because they like the climate. The Rose Garden is in another part of the park. Many weddings take place there. Roses are being changed all the time. It was a chilly April but the cherry blossoms blaze away. Magnolias out in April for a second bloom. The Vancouver Aquarium dates back to 1956. It was Canada’s first public aquarium, and still is one of the country’s few aquaria. 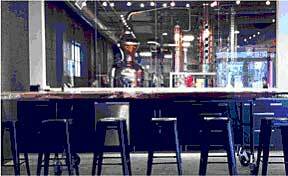 Over the years, it has grown from 9000 square feet to its current 100,000 square feet. 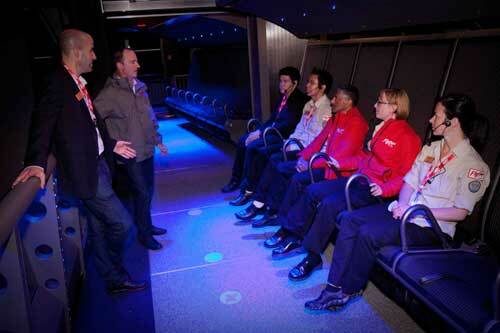 Many of the interpreters who explain the exhibits to the public are professional naturalists. The Graham Amazon Gallery is a tropical rain forest that comes complete with marmosets. Sloths, scarlet ibises, and an anaconda, plus assorted creepy things from the Amazon. The Tropic Zone, another aquarium section, has an amazing assortment of warm water fish. You’ll find sharks, always so popular with boys. If you like to watch peoples faces, you can’t beat the octopus. It’s a big un with undulating stickers on the glass and huge eyes. People tried to look it in the eyes. He was stuck on the glass in all its suckered glory. You can’t have a respectable aquarium without jellyfish, now can you? 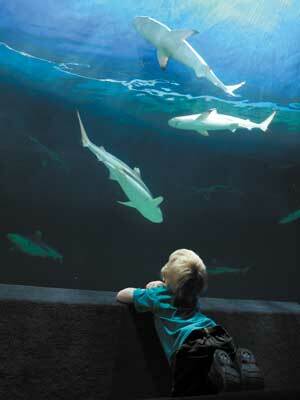 In addition to exhibits, the aquarium has events and shows and a constant teaching mission. For more information, click here. Bill Reid was a master goldsmith, carver, sculptor, and writer, an artist whose mother was Haida (a First Nations People). As an artist, he was a late bloomer. It was not until he was in his early 30s that he turned to jewelry making. At that time he was a CBC broadcaster and used his interest in making art to exploring and popularizing his cultural heritage. A Bill Reid sculpture stands in front of the aquarium. The gallery, established in 2008, “is devoted to understanding and appreciating contemporary Aboriginal art of the Northwest Coast.” It features works by Reid, as well as other Northwest Coast artists. The current exhibition (running through 15 September, 2013) is Paint: The Painted Works of Lyle Wilson For more information, click here. Consistently rated by locals as best vegetarian and best vegan restaurant, The Naam, located in Kitsilano, is also the city’s oldest vegetarian restaurant. (It opened in 1968.) Its menus feature the gamut of familiar international veg and vegan fare: crepes. scrambled tofu, dragon bowls, quesadillas, chili, burritos, veggie burgers, stir frys, etc. Its open 24/7 and also presents live music nightly. For music schedule click here. For more information about Naam, click here. 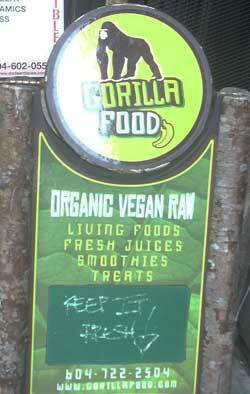 Also worth checking out are Gorilla Food; The Foundation, 2301 Main; Bodhi Choi Heung Vegetarian Restaurant, 3932 Fraser Street; and Bandidas Taqueria, 2781 Commercial. If you crave Indian food, you’ll want to know about VIJ’s. Mark Bittman once called it, “easily among the finest Indian restaurants in the world.” But wait, there’s more. VIJ’s is famous (notorious?) for making people wait 90 minutes; it’s open only at night. Reservations? HA! Their red pepper and Portobello curry is legendary. VIJ’s branched out into frozen foods, cook books and Shanik’s, a hot restaurant in Seattle that dot com zillionaires adore. You also hear tales of just incredible sounding things like green cardamom mojitos, mango lassis, black chickpea and onion cakes in coconut curry/ VIJ’s has a casual next door spot, Rangoli, that’s also open at night. If you can stand on line for an hour and a half you’re doing some thing wrong in your life. If you’re going to make the trip, go to web site first. We vegetarians and vegans try to toughen up to eat with friends, normally there are wonderful foods to be had, after you’ve e been v or v it still bothers you that they’re eating bodies of creatures; but you do it and kind of ignore it as little bit, But some things are harder to ignore. We rang them up to check. Yes, These are real crickets said a cheerful voice on the phone. We haven’t had them for at least six months now,” will you be having them again” Traveler gulped. “I don’t know,” the voice chirped, “The menu changes with the seasons. When, thought Traveler, who also was freaking, will cricket season begin? And gentle reader, we couldn’t eat in that restaurant. We confess one of our reporters will not eat in Thai restaurants where frogs are served, or Florida restaurants that serve gator tails, because the thought of vegetarian food being cooked in the same pan as frogs and gators, felt culturally disgusting and heartbreakingly cruel, add cricket kitchens to that list. We know eating insects may be the plague of the future but ask anyone in Vancouver, they’ll all tell you VIJ’s is amazing. But something about going there bugs us. Maybe they should team up with Starbucks which was outed for using bugs to make their strawberry thing pinker. Do say, so uh how many crickets do you get in an order; don’t say, when was the last time you cleaned your pans. The Vancouver Chinatown Night Market, open on weekends during the summer, delights the senses and quickens the pulse. Sound, eats, aromas, jewelry, crafts, doodads, gewgaws, spectacle. They’re all there. In 2013, the market was given a bit of a reboot with the addition of some new vendors to the established favorites. Rookies included the Pie Shoppe, hair salon Rock Paper Scissors, a weekly gathering of gourmet food trucks and Poppytalk (a Vancouver-based on=line curator of designer handmade pretty items. For more information, click here. The Pacific Centre is a shopping mall with all the perks and pleasures a modern mall connotes. Its 50 or so shops include powerhouse international chains, as well as some beloved locals. Food, clothing and shelter abound. On site are Apple, Body Shop, Crabtree & Evelyn (must we go on?) Be sure to click on the web site’s promotions page for current offers.